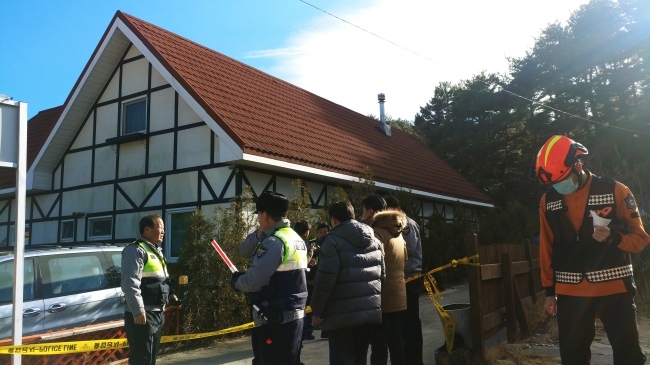 Ten male students staying in rented lodgings in Gangeung, Gangwon Province, were found unconscious at around 1:14 p.m. on Tuesday. Three of the 10 were pronounced dead. According to fire authorities, the owner of the accommodations found the students lying in the living room and another room with foam coming from their mouths. The seven unconscious students were transferred to three area hospitals and are being treated with hyperbaric oxygen therapy. 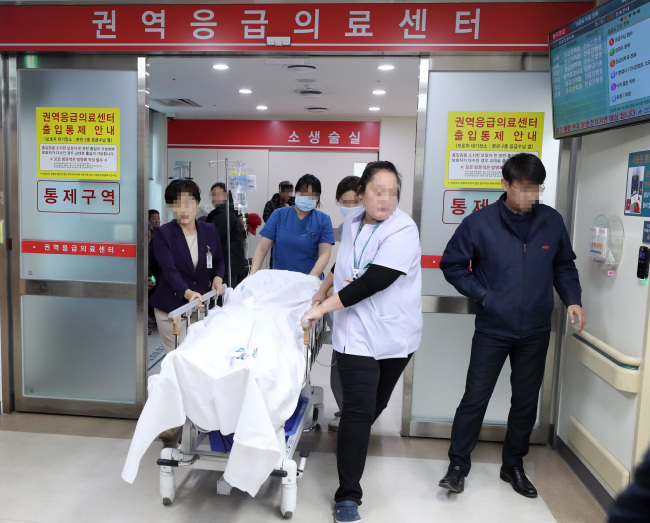 A doctor from Gangneung Asan Hospital, where five students are being treated, told Yonhap News Agency that the patients’ conditions had improved slightly. One of the five students could say his name, while the others were still not conscious enough to hold conversation. The exact cause of the accident has not yet been determined, but fire authorities said a high level of carbon monoxide was detected at the site. According to the firefighters, the carbon monoxide concentration level of the site reached 155 parts per million, almost eight times higher than the standard 20 ppm. At an investigation on site, police found the gas boiler at the facility had not been connected properly with the ventilation pipe. The lodgings lacked gas leakage detectors, police said. Authorities now assume that poor ventilation caused the accident, but said that they will look into all possibilities. 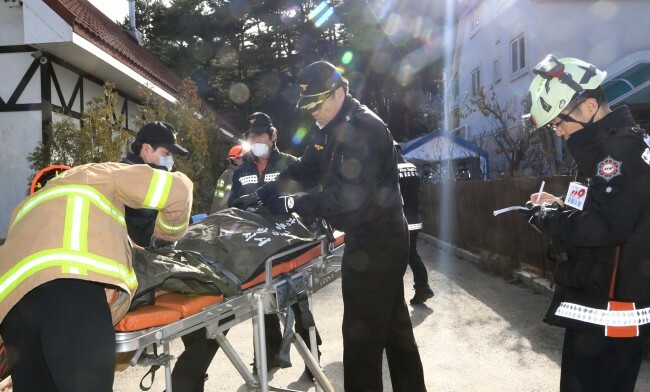 “We consider the case as an accident, not a suicide or a murder,” said the chief of the Gangneung fire station, Lee Jin-ho. The 10 are reported to be high school students from Seoul who had just finished the national college entrance exam in November. The students had booked two nights at the lodgings and checked in at around 3:45 p.m. on Monday. The owner reportedly heard the students moving and making noises as of around 3 a.m. on Tuesday. Seoul Metropolitan Office of Education confirmed Tuesday that the students went to Gangneung with the school’s permission.